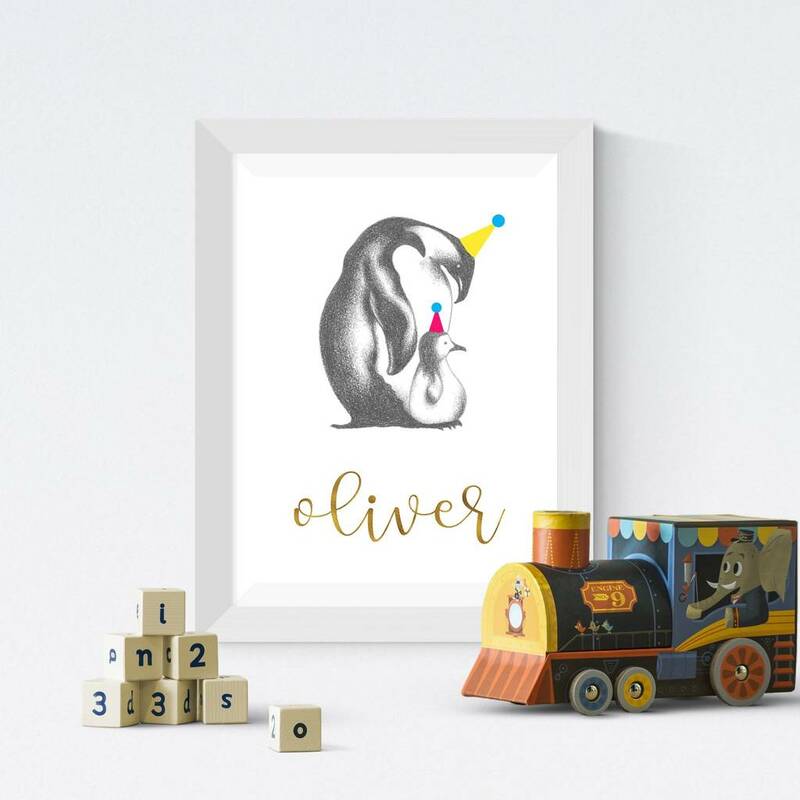 The personalised penguin is lovingly drawn by hand by Alex using pencils and then personalised using metallic foils. The personalised illustrated penguin print makes a perfect gift for a newborn or a present for a child, injecting some fun and colour into any room. Children who love animals will love this collection of hand drawn characters. They are an excellent way of encouraging talking and teaching children animal names. My twins 1st words were whale and giraffe! Sold individually, they look great displayed in a bedroom or playroom, but also look fantastic as a group of animals together. There are 8 animals in the party animal collection, so now all you have to do is choose which ones are for you! Please note all prints are sent UNFRAMED. The frames used in our photography are for display purposes only. Print dimensions - A4 - 21cm x 29.7cm. 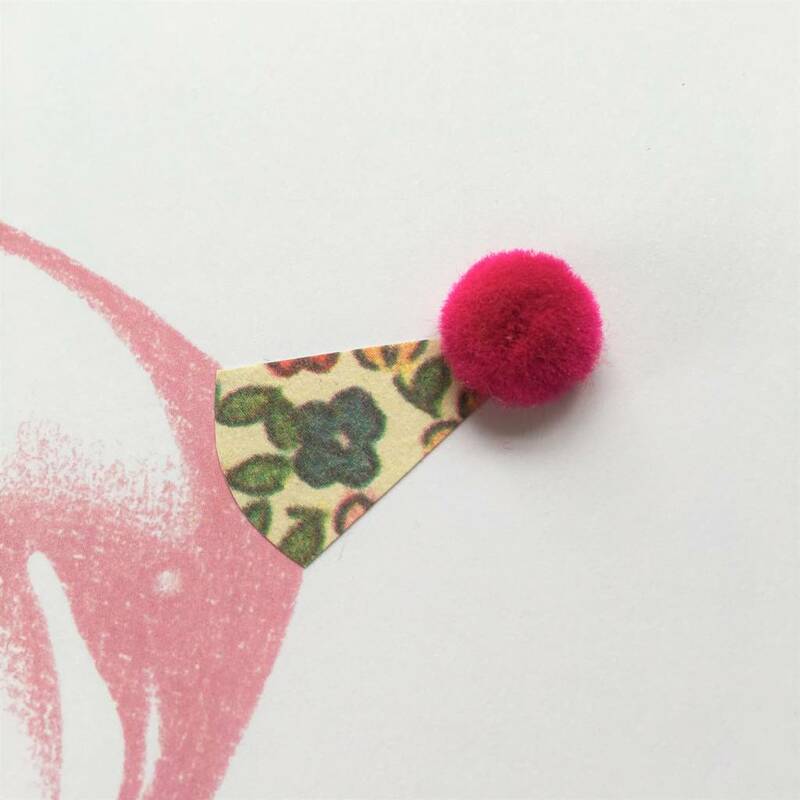 Your print will fit any standard A4 sized frame and looks best in either a box frame or a standard frame with the glass or plastic front removed so that the pom poms are not flattened. This product is dispatched to you by 'By Alex'.